Read the rest of the observations made here. 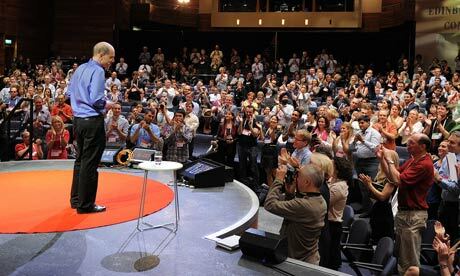 I must say that I quite like TED and have seen (and even posted here on the blog) some rather inspiring, interesting, and stimulating talks. A horrific car accident in Pinetown, South Africa, has claimed the lives of 22 people and injured up to 80 people. However, there are conflicting reports on the death toll, with other media stating that up to 27 people perished in the crash. The incident happened on Thursday night when a speeding truck crashed into a car and four minibus taxis that were driving through a green light. The driver of the truck has been identified as a 23-year-old Swaziland national. He has been arrested Friday and faces charges of culpable homicide and reckless driving. PN Makhaye, an official of the KwaZulu-Natal Road Traffic Inspectorate, said that the license of the truck had expired on August 31. The owner of the truck has been identified, but unlike passenger vehicles, truck owners do not have the 21-day grace period for expired licenses, she said. Ten people remain in critical condition, 7 in serious condition, and 14 have suffered minor cuts. The footage of the deadly accident shows the speeding truck crashing into the car and two taxis. Officials believe that the breaks of the truck failed as it barged into the cars. The truck reportedly contained goods from the Taiwanese Evergreen shipping company. Officials believe that the truck driver attempted to avoid paying toll fees to keep it for themselves, as such is the case with many drivers. “They are trying not to pay toll fees and therefore use that money for personal reasons. We suspect that is what happened in this case,” said KwaZulu-Natal transport MECT Willies Mchunu.